Below are the current homes for sale in Townsend, MA. 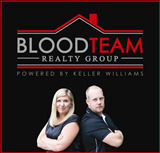 If you have any questions or would like to arrange for a showing, please let us know at thebloodteam@kw.com or by calling 978-302-4300. Happy House Hunting!